The Grossglockner (3789 m) is the highest mountain in Austria. 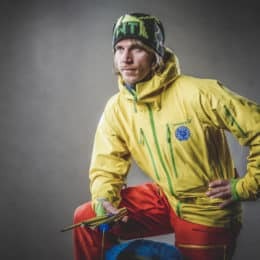 Mathias, an IFMGA certified guide will take you up to the summit in this 2-day program. 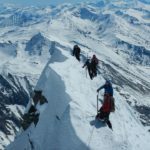 I invite you to join me for an exciting 2-day ascent to the Grossglockner (3798 m), the highest mountain in Austria. This time, we are going to climb it via the Stüdlgrat ridge. The Grossglockner is also the highest peak in the Alps, east of the Brenner Pass. It’s part of the Hohe Tauern range. From the summit of this pyramid-shaped mountain, we will enjoy an unforgettable panorama! It’s a favorite among climbers around the world. The climb via the Stüdlgrat ridge is rated 3-4 in the UIAA grade so it is definitely not for beginners. You must have some mountaineering experience or we can do a training session together if you lack the experience. We will meet at the Lucknerhaus parking lot (1918 m). From there, we will climb to the Stüdl hut (2.802 m) and get ready for our ascent. On the second day, we will have breakfast and then, up to the summit! I will guide you through the Stüdlgrat, an amazingly defined ridge. Then, we will descend via the normal path. You can check the detailed program below this description. Did you find this ascent to the Grossglockner tempting? Then contact me for more information! It will be my pleasure to guide you up there and enjoy the spectacular views from the summit. From the parking lot at Lucknerhaus (1918 m), we will climb through the Ködnitztal to the Stüdl hut (2802 m). It will take us 2.30 hours approx. (800 metres ascent). After a good breakfast, we will start the climb over the Teischnitzkees to the entrance of the Stüdl ridge (approx. 1.30 hour). We will then follow the marked rock ridge, which will lead us directly to the Grossglockner summit (3798 m). Afterwards we will descend via the normal path to the Erzherzog-Johann-Hütte (3451 m), where we will recover ourselves and then continue the descent further. We sleep at the Erzherzog Johann Hut. 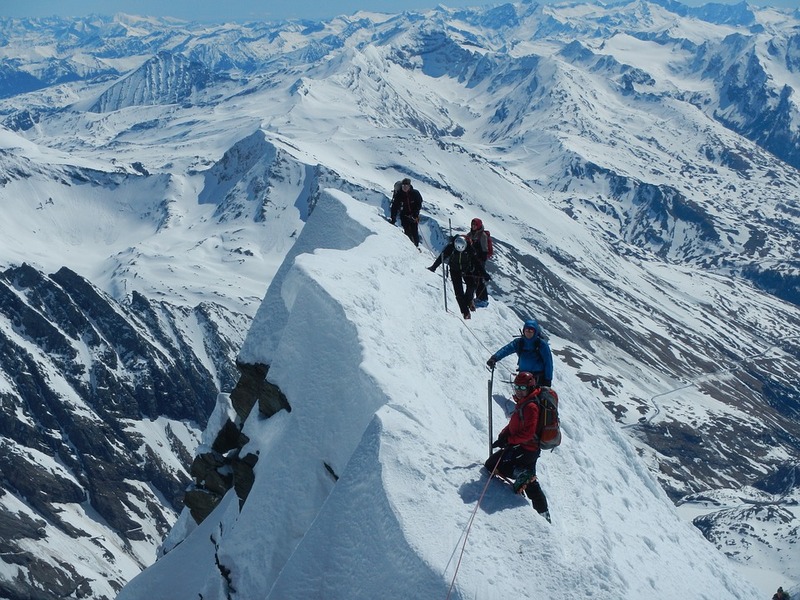 If you have a group larger than 2 people, I'll ask another IFMGA mountain guide to join us.